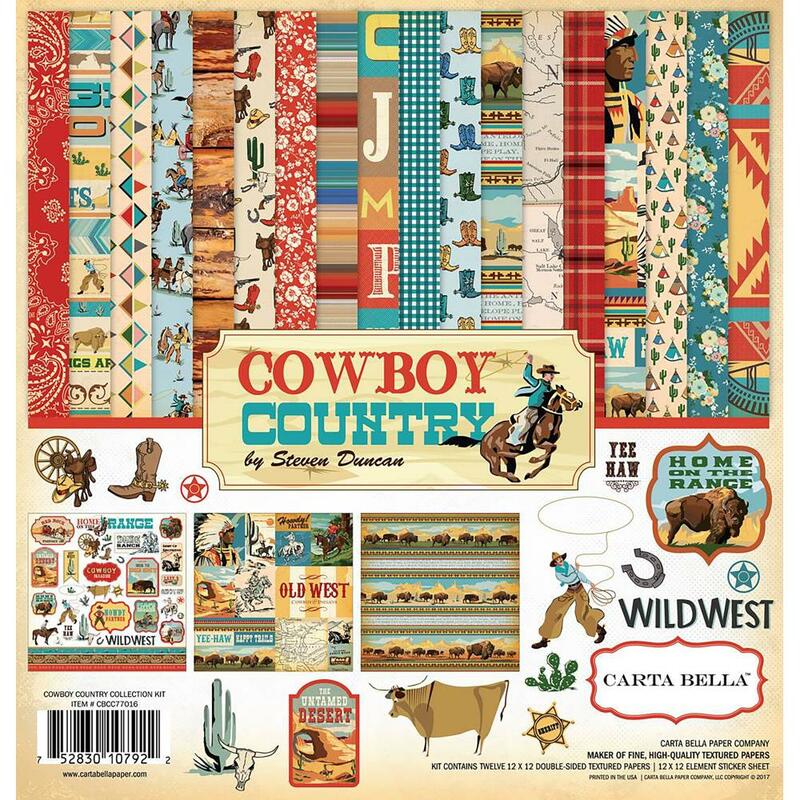 This package is a 12x12 Cowboy Country Collection Kit. Look for coordinating Ephemera, Decorative Dies & Designer Paper. Cowboy Country Collection by Carta Bella.